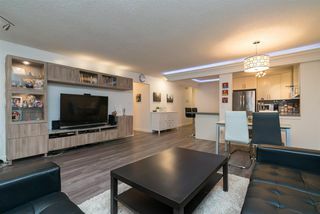 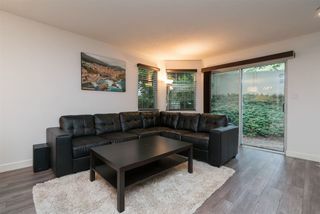 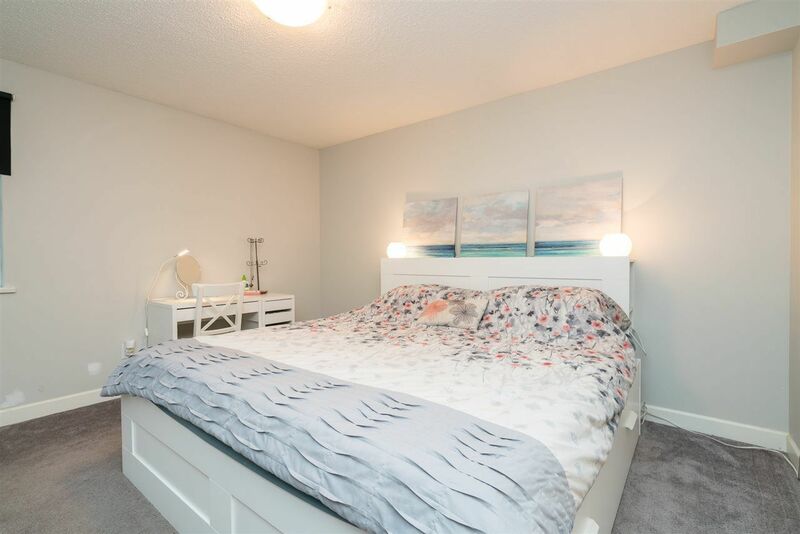 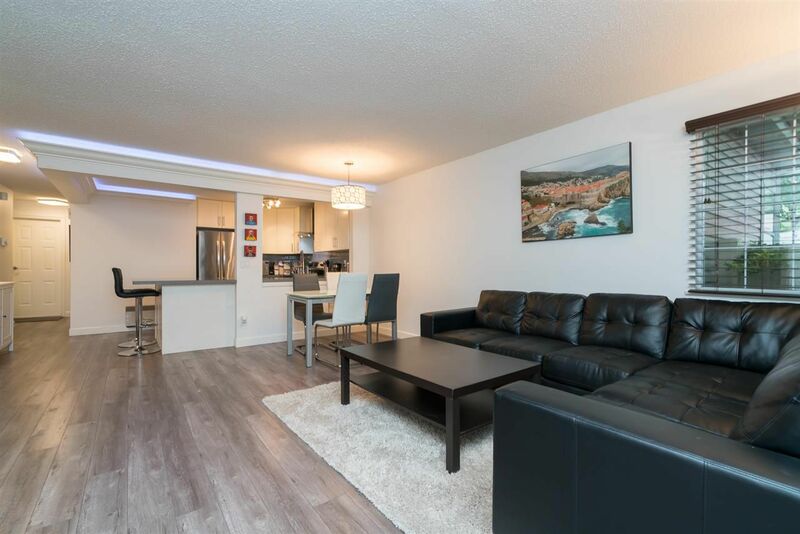 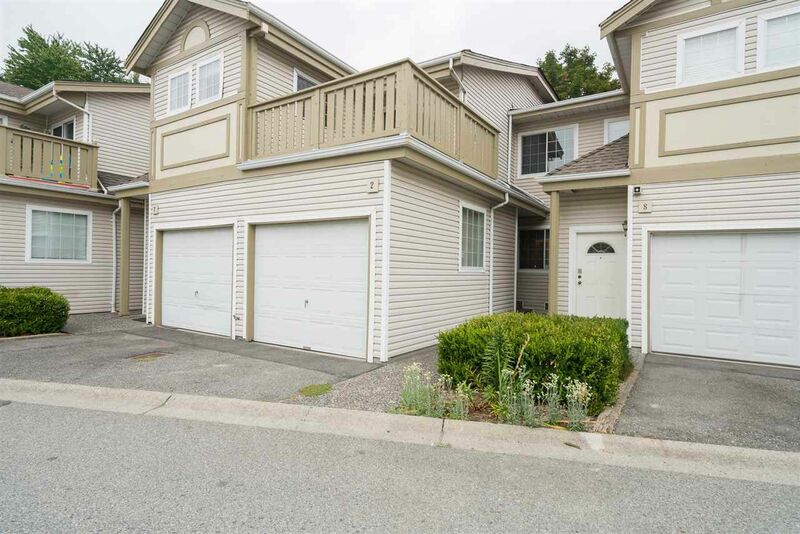 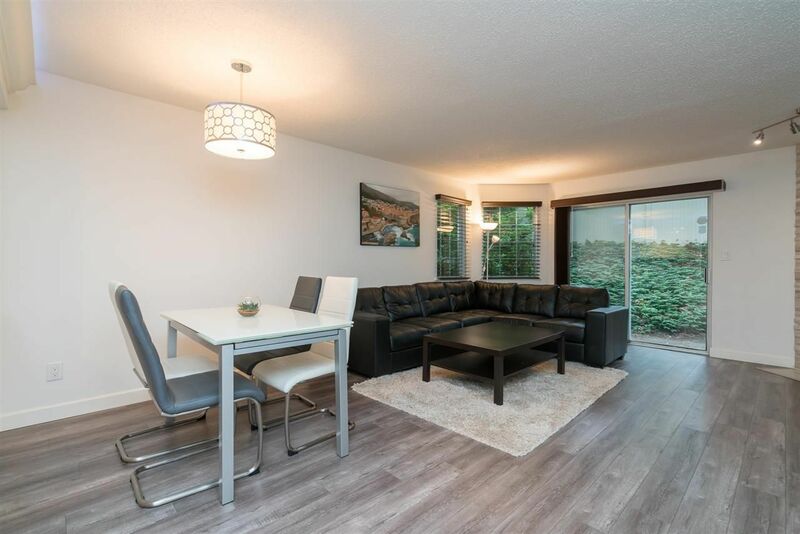 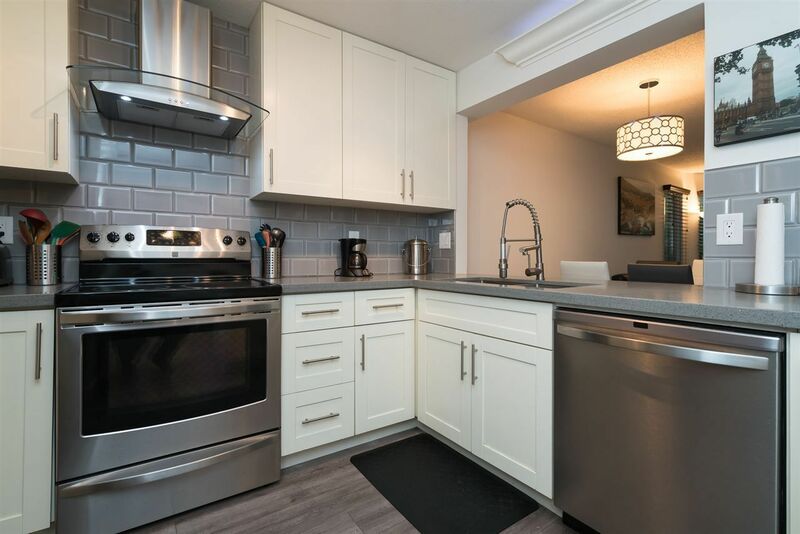 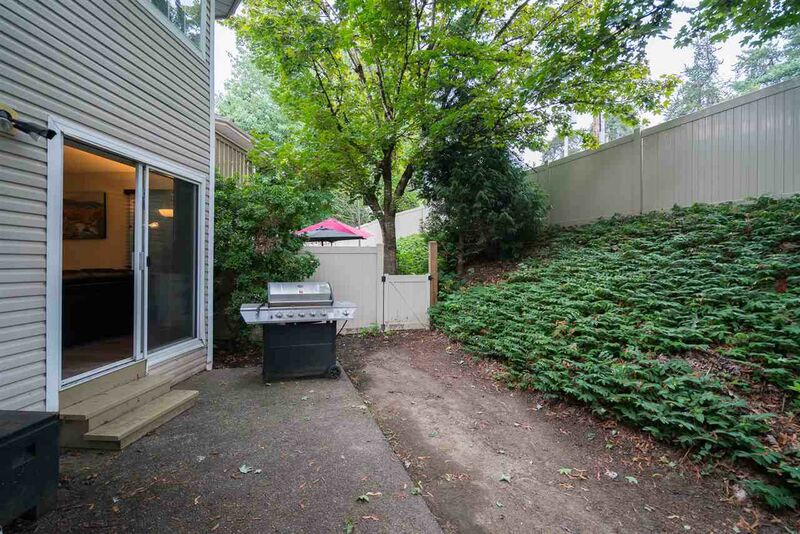 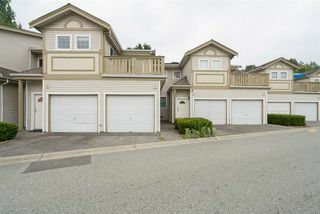 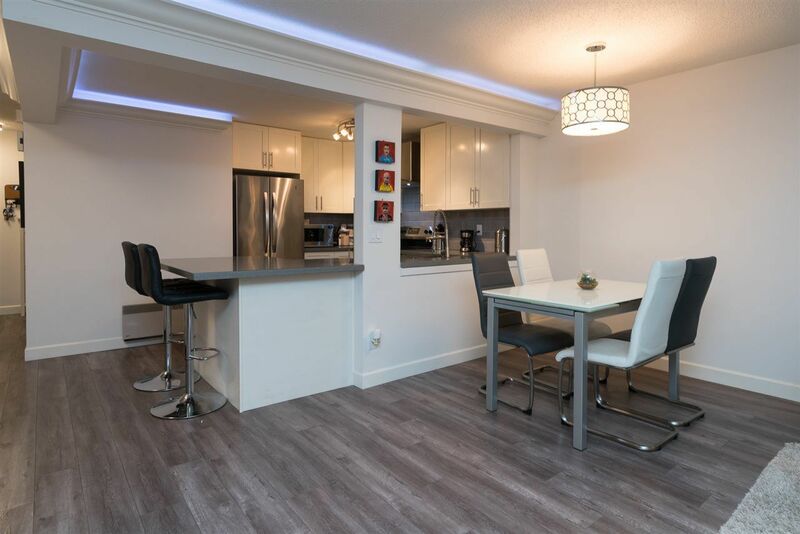 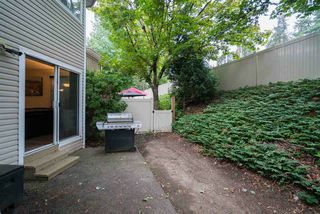 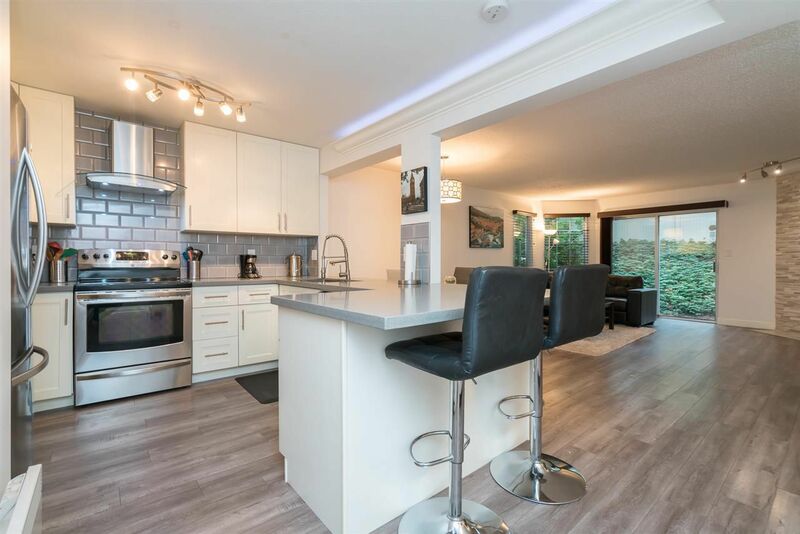 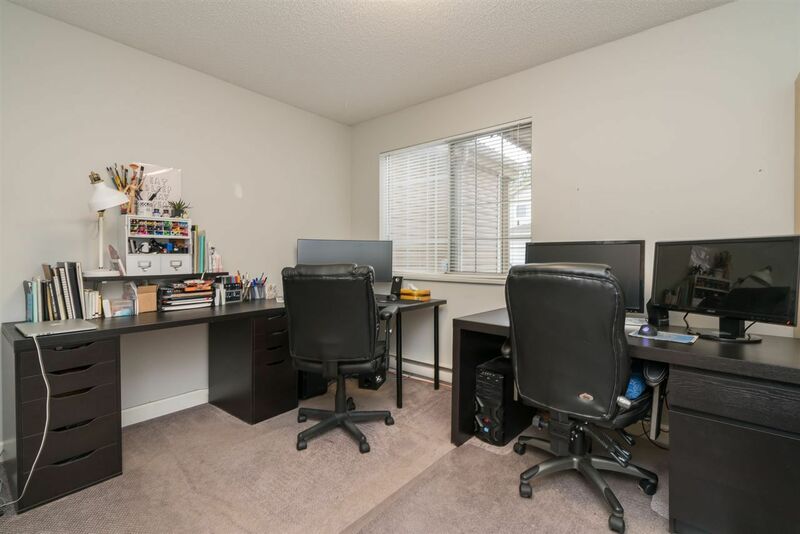 Centrally located rancher style townhome, previously fully renovated and is move in ready! This 2 bedroom and 2 bathroom home has over 1150 sqft of living space, featuring laminate and tile flooring, with carpet in the bedrooms. 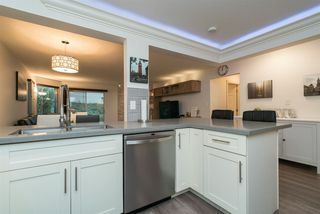 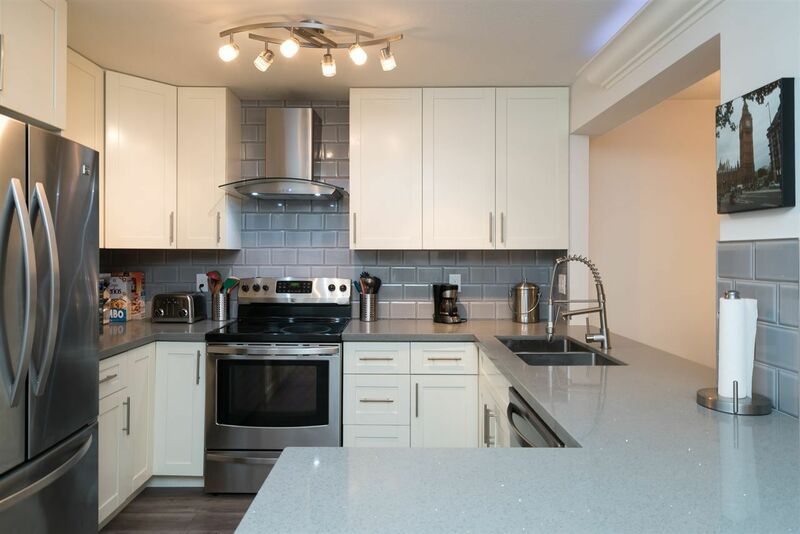 The Kitchen is fitted with Kenmore stainless steel appliances a chimney range hood with quartz counters and crown moulding with LED accent lights! 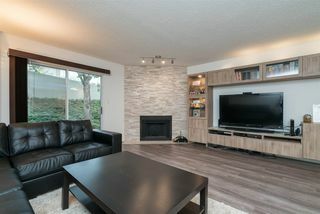 Built in entertainment cabinet match perfectly with the warm surrounding of the fireplace. 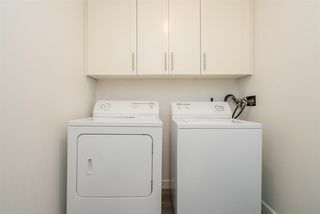 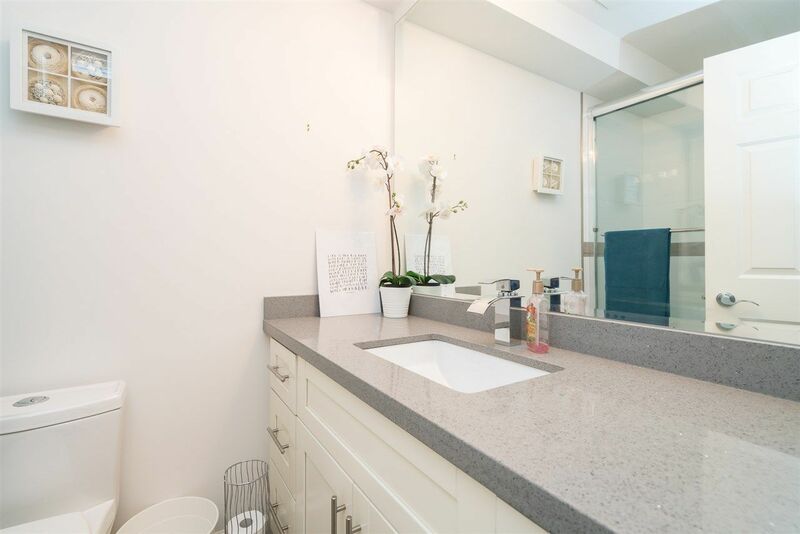 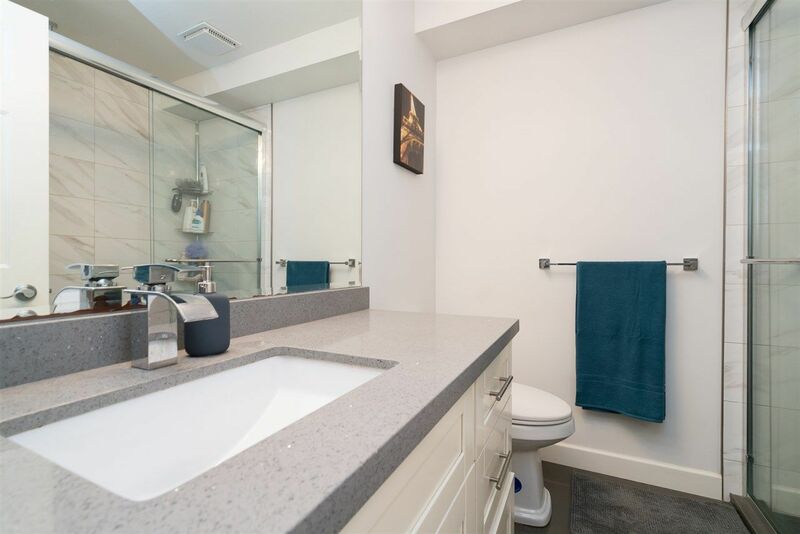 Both bathrooms have heated floors, the main ensuite has a custom walk-in Schluter shower with LED shower head, and an extra deep soaker tub adorns the main bath. 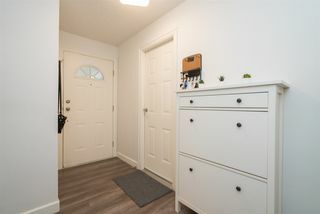 Great value and perfect home! 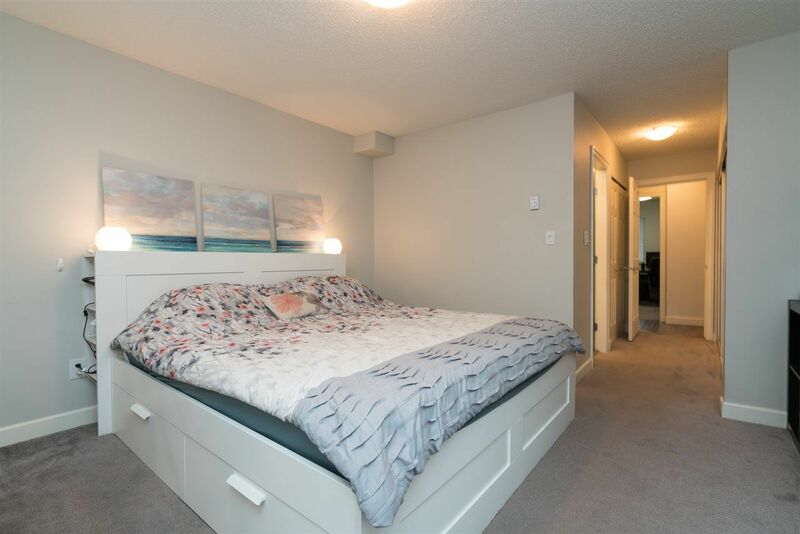 Easy access to hwy, shopping, recreation facilities and transit. With built in shoe shelf.